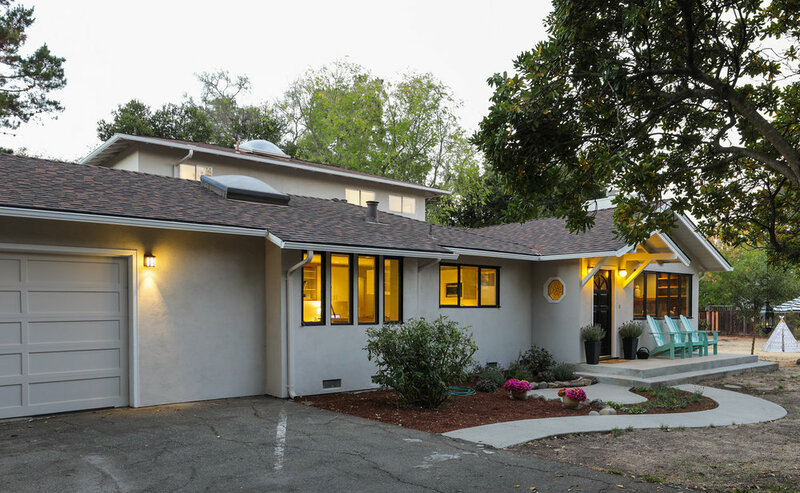 Fabulous North Los Altos Opportunity! First time on the market in over 40 years, Mundell Way is quiet, with no pass-through traffic. Many homes on this street have recently been either remodeled or rebuilt. Down a driveway, tucked away on an amazing 20,000 +/- sf sunny lot, this lovely North Los Altos home offers a rare opportunity to be so close to amazing shopping as well as major routes for convenient commuting, offering the rustic lifestyle of a peaceful country setting while still being at the doorstep of vibrant Silicon Valley! Options are endless for this property: move right in, remodel or build your dream home. Existing home features 4 bedrooms and 3 bath. Conceptual architectural drawings were produced by Verner Architects for listing agent (not provided by seller) for marketing purposes of the property. Excellent North Los Altos location, close to downtown and even closer to the new development complex: The Village at San Antonio Center with its great shopping and restaurants. Highly acclaimed Los Altos schools.